Since the birth of television, humanity has been obsessed with the incredible worlds and complicated characters filling our screens. Some people’s love for those characters can go beyond just the story though, and this list is for those who don’t just want to enjoy their favourite show but want to see where and how it was made, too. HBO’s Game of Thrones is without a doubt one of the biggest television shows the world has ever seen. With fans all around the globe, the demand for a Game Of Thrones experience is great, which is why you can now find Game Of Thrones tours leaving Belfast each day. The breath-taking scenery of Northern Ireland is dotted with Game of Thrones filming locations, as well as one of the most recognisable natural wonders in the world – The Giant’s Causeway. If you love Game of Thrones and you love great views, travel to Northern Ireland and tick the experience off your bucket list. An iconic British period drama, Downton Abbey is set in a beautiful English country house that you can now visit. The filming location for the show, Highclere Castle, is still a functional and working estate in Hampshire, England. Easy to travel to and featuring great connections, you can find guided tours around the castle, as well as others that start at Bampton, the Oxfordshire town where the Downton Abbey village was created and filmed. Perfect if you want the universal Downton Abbey experience. When it comes to iconic characters, there are few that outdo James Bond. Ian Fleming’s charming and complex spy has become a household name across the world, which is why you can now find all sorts of London-based James Bond tours available. Fortunately, most of the London filming locations for James Bond are within walking distance of each other, helping to keep tour prices down and allowing for more in-depth discussions with tour guides. Working through older films like Dr No to newer ones like SPECTRE, if you’re a James Bond fan, you’re bound to discover something new! Travel to London and see what you can find. Sir Arthur Conan Doyle’s indomitable Sherlock Holmes is a character over 130 years old who still lives in the hearts of people today. Initially gaining popularity via magazine publications, Sherlock Holmes’ intelligent, observation-focused approach to detective work has made him a fictional fan favourite, but most of the locations described in Sir Arthur Conan Doyle’s stories are real places. 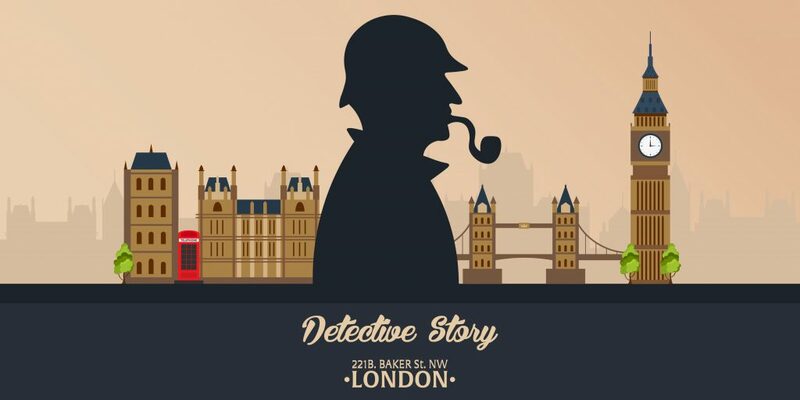 Based in London, Sherlock Holmes’ house, 221b Baker Street, has now been converted into a museum which you can visit. Many Sherlock Holmes tours use the museum as a starting point before exploring London to point out other locations described in the books or used for film scenes. Again, due to the proximity of the locations, costs tend to be low because most of these tours can be done on foot. Another international phenomenon, Peaky Blinders took the world by storm in 2013. Set in Birmingham in 1919 and focusing on the infamous gangster family, the Peaky Blinders, much of the show was actually filmed in Liverpool. If you choose to travel to Liverpool, there are many different tours offering to show you the ten filming locations there, explaining the true history behind the legendary gang as you go. Last but far from least is the Warner Bros. Harry Potter Studio Tour. Boasting the same 1:24 model of Hogwarts used for filming, if you’re a fan of the Harry Potter franchise then this is a real must see. Located in Watford, a mere 20 miles outside of London, travel by car or public transport is easy and convenient. Regardless of what show you love, the power of modern technology has made it easy to discover the secrets behind your favourite shows, exactly where they were created.